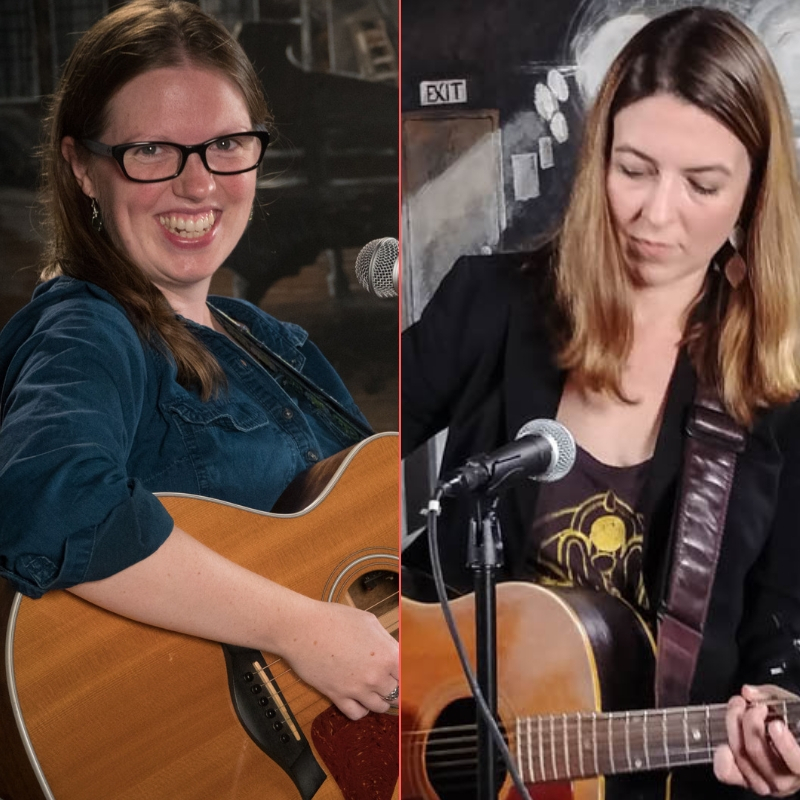 Two of the region’s top singer-songwriters, Grace Morrison and Lisa Bastoni, will debut at the Rose Garden Coffeehouse in Mansfield, Mass., on Saturday, Oct. 20, 2018. Tickets are now on sale for this show. Morrison mixes seemingly effortless musicality and original storytelling. She turns turns deeply personal and historical stories into song for listeners from all walks of life. Though much of her show is lighthearted and she often gets audiences smiling and laughing, some of her songs take on that personal, historical tone. Click image or here to buy tickets. 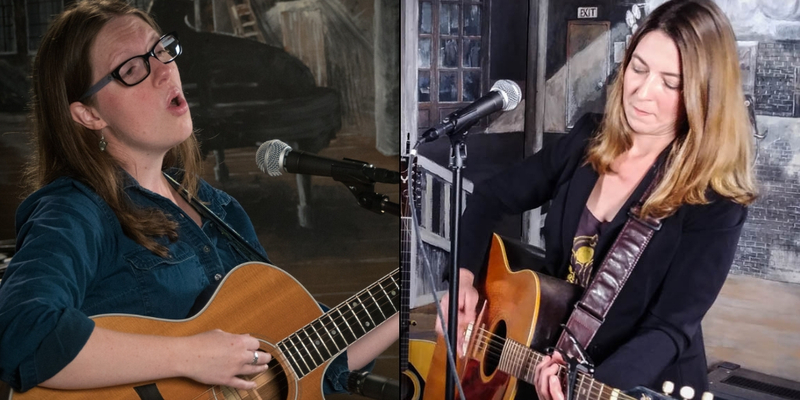 Grace Morrison, left, and Lisa Bastoni perform in the studio at Mansfield Cable Access TV in October 2018. The pair will perform at split bill at the Rose Garden Coffeehouse in Mansfield on Saturday, Oct. 20. Photos by Stephen Ide. Bastoni’s vibes and lyrics hit close to home. Songs like “Rabbit Hole,” grand prize winner of the Great American Song Contest, looks back on intimate memories and regrets while understanding the maturity that life has fostered. Or then there’s her search for redemption in “Wichita,” a look back on Midwest experiences. Either way, her vocals are powerful, her images vivid, her stories personal in nature. Her music has been described as Americana, many of them touching back on old times and snapshots of America. Her songs are usually personal, often based on things that actually influenced her in her life. She says she has a songwriting process that includes making lists or writing narratives of the stories that will become songs. “A lot of it is pretty personal and it comes from my own experience,” she said, adding that the stories are true, with some embellishment. Bastoni, who has opened for Lori McKenna, Arlo Guthrie and others, will also showcase her skills in November at the New England Regional Folk Alliance conference. In 2017 she returned to the stage after a 10-year break from music, after a career change and having two children. She put out a popular CD, “The Wishing Hour,” produced by Grammy-nominated songwriter and producer Felix McTeigue (Anais Mitchell/Lori McKenna) and is going into the studio for her next project. The Rose Garden Coffeehouse, is a 501(c)(3) not-for-profit organization in its 30th season of continuous operation. The event will start at 8 p.m. in the Congregational Church, 17 West St., Mansfield, Massachusetts. The doors open at 7:30. It’s wheelchair-accessible and alcohol-free. Tickets can be purchased online at www.rosegardenfolk.com for $16, and for $20 at door. The Rose Garden’s all-volunteer staff serves home-baked dessert items and hot and cold drinks of the season before the show and during intermission. The Rose Garden is supported in part by a grant from the Mansfield Local Cultural Council, an agency which is supported by the Massachusetts Cultural Council, a state agency.